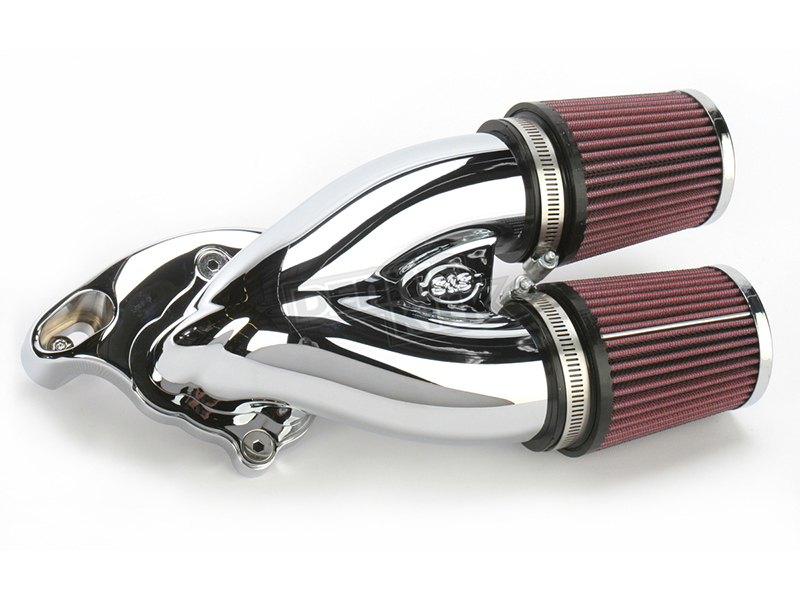 A performance intake is one of the most common additions to any Harley-Davidson motorcycle. They’re essential for bikes with performance exhausts, cams, or high-powered engines, but also a great upgrade for any unmodified bike. And aside from giving your ride a power boost, some air cleaners offer a significant style upgrade as well. 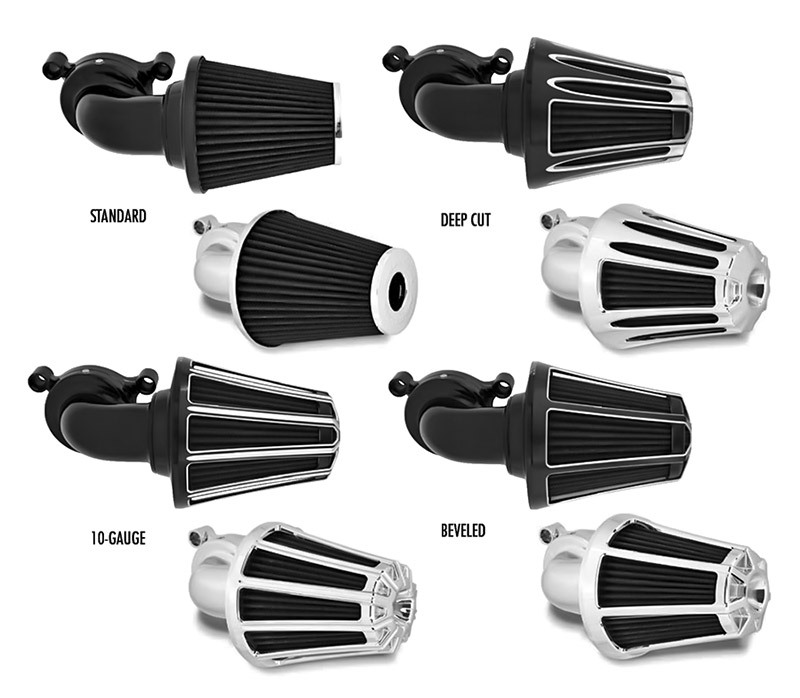 Forward facing air cleaners are a favourite among riders and bike builders, as the provide high air-flow for optimum performance, and give your bike an aggressive, race inspired look. Here’s our top four picks for forward facing air cleaners. 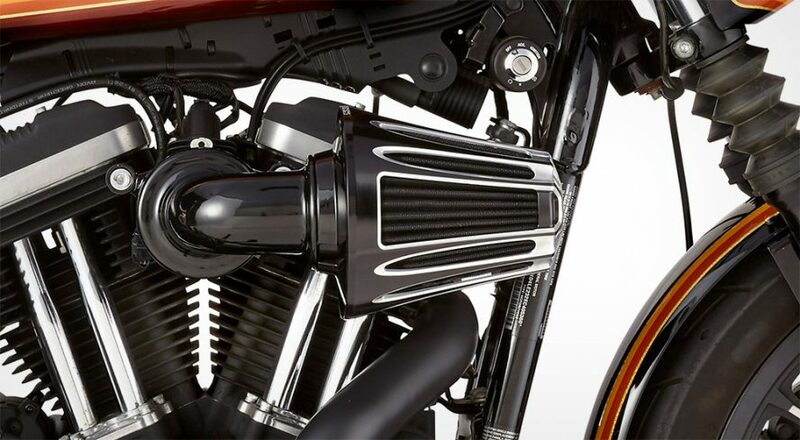 The Arlen Ness “Monster Sucker” air cleaner has a larger surface area than most and includes ‘hidden breather’ technology to increase performance. Those hidden breathers are O-ringed at the heads and exit out of the mouth of the throttle body to provide efficient engine breathing, so no more external hoses or hardware. Air is pulled into the filter from all sides as well as the front, thanks to a built-in inverted top which results in better airflow for your motor. The filter is made from a synthetic material that is water resistant, which means you’ll only need a rain sock in the worst conditions. You can also rinse and re-use the filter without the need for any oils. The Arlen Ness ‘Monster Sucker’ comes in either black or chrome. A range of optional forged covers are available in 10-gauge, beveled, and deep cut finishes, for those wanting their air-cleaner to look as good as it performs. K&N are the biggest name in air filters, and have used their unmatched experience in high-performance racing to bring us the K&N AirCharger®. 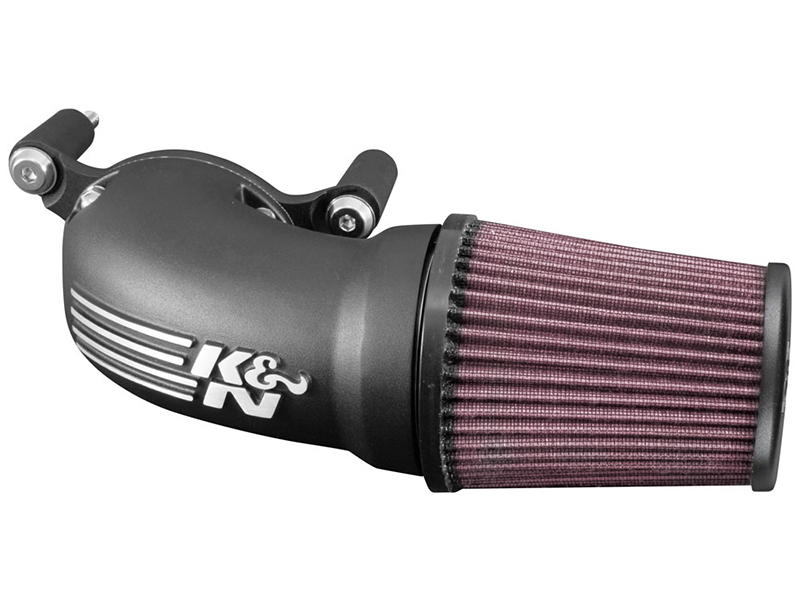 With a cast aluminium high-performance intake tube and a washable K&N High-Flow air filter made from cotton, you’ll get some outstanding performance and protection. The built-in breathers replace external OE breathers and there’s also an integrated internal velocity stack. With a style that reflects K&N’s racing heritage, and impressive power, the AirCharger is a great option for those wanting a serious high-performance intake. 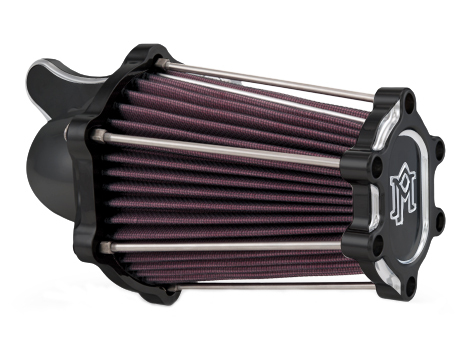 PM’s FASTair intake is arguably the most innovative and aggressive looking intake on the market. Known for being leaders in style and performance, PM have laced together beautiful billet pieces to create a stunning enclosure for the high-performance K&N filter element. FASTair provides significant power gains thanks and stunning good looks, and is available in chrome or contrast-cut finishes. S&S are the performance kings, and as you’d expect, their Tuned Induction air cleaner is a great option for those wanting torque and horsepower gains. With over twice the filtering area over stock intake systems and a smooth intake tract, the S&S air cleaner uses air column inertia and gas dynamic pressure waves to increase horsepower and torque across the RPM range. It also comes with a high flow washable and reusable cotton media which provides performance and protection.